As soon as your first child is coming, you know that day will come when you have to start paying for college. 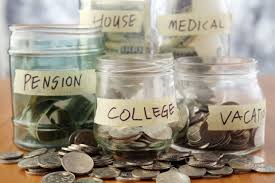 And even though you have about 18 years to get your finances ready, most people are not prepared when the time comes. It can be a confusing process, to say the least. I speak from experience as my daughter just became a freshman in college. So I can provide advice based on my recent travails as well. When we went to the orientation, there were a lot of perplexed parents in the crowd. They were just assuming that it would become clear as the time approached. Believe it or not, we didn't have any idea of what we would have to pay until she had been in the dorms and going to classes for two weeks. You have to look carefully at the interest rates being offered. Federal loans reset their rates each year. However, the initial rate is what it will stay at. The federal loan rates are tied to the 10-year treasury rates and will rise or fall with them. There are two types: the Perkins Loan program and the Direct Loan program. To apply for either you must file a Free Application for Federal Student Aid (FAFSA). Perkins Loans are limited to those who qualify based on greater financial need. It is the best bet if you do qualify. The Direct subsidized loans are also those with financial needs but are not as difficult to qualify for. Everyone is eligible for these loans and they are not based on financial needs. Interest grows while you are in school. The current fixed rate is 4.29%. Federal loans are preferable to private loans. The repayment plans are generally more flexible. You can apply for deferments and the government will forgive them if you die or are disabled. There may also be forgiveness for people who join the military or other programs.